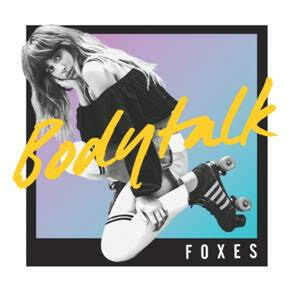 Foxes returns with disco-tinged banger Body Talk, the first track to be lifted from her much anticipated second album. It’s hard to believe its only been three short years since she released her debut EP WARRIOR, then followed up to debut album GLORIOUS - which featured smash hit singles Let Go For Tonight, Holding Onto Heaven, Youth and Clarity. Southampton-born Foxes, who eschews the lure of the full-on glitzy pop star life in favour of taking the bus around east London and working on her mum's vintage clothing market stall, is ready for the world to hear what she's been working on, "I knew immediately what I wanted with this album, and I had the experience to be able to fully realise it this time,” she says. Foxes will play a number of festival dates across the UK this summer, with the Isle of Wight Festival next weekend and British Summer Time with Kylie Minogue at Hyde Park. Stay tuned for her brand new album, set for release later this year, however until then grab a listen of the track now below, getting your copy of the single on iTunes now..!